The U.S. and Global Security Review: The next Genghiz Khan of All Russia (plus the Instagram)? Were Chechen Security Personnel Responsible For Nemtsov's Death? "Nonstate media, including Novaya Gazeta, have suggested that Nemtsov was under threat from Kadyrov's own security personnel for his repeated criticism of the Chechen leader." The next Genghiz Khan of All Russia (plus the Instagram)? Were Chechen Security Personnel Responsible For Nemtsov's Death? "Nonstate media, including Novaya Gazeta, have suggested that Nemtsov was under threat from Kadyrov's own security personnel for his repeated criticism of the Chechen leader." For many in both Russia and the West, the Kremlin is inevitably the prime suspect in the assassination of opposition leader Boris Nemtsov. But the possibility of a Chechen connection should not be dismissed out of hand, given Nemtsov's repeated criticism of Chechen Republic head Ramzan Kadyrov. Were Chechen Security Personnel Responsible For Nemtsov's Death? Chechen leader Ramzan Kadyrov followed suit, writing on Instagram, "there is no doubt that the murder of Nemtsov was organized by Western intelligence agencies who seek by any means to create internal conflict in Russia." M.N. : The hat is burning on the thief's head, as the Russian saying goes. Putin's "victorious" policy of "Chechenisation" and "Kadyrovisation" is an utter hypocrisy and his complete, unconditional and very dangerous for Russia self-defeat: Russia Won Nothing in Chechnya | Opinion: The problem is that those former rebels have never adopted Russian laws. Chechnya is a unique experiment, although the locals are usually reluctant to discuss the subject with outsiders. Of course, every Russian region has its share of legal abuses, but Chechnya has become a practically lawless society... Was it really worth it to fight two wars to restore constitutional order here if it was never actually restored? Are the people holding power in Chechnya the same who rained heavy fire down on Russian positions in Grozny in 1996 and 2000? If so, then what victory was achieved there?.. In a sense, it is not Chechnya that has adopted Russia's constitutional order, but Russia that has assimilated much of what has become customary in Chechnya over the last 10 years. A still from the documentary Chechnya: War Without Trace by French director Manon Loizeau, which looks at life in Chechnya under pro-Kremlin strongman Ramzan Kadyrov. Vladimir Putin may well be seriously ill, or worse. He hasn't appeared in public in a week, he just canceled a trip to Kazakhstan and a series of meetings in Moscow, and the hashtag #ПутинУмер (Putin Died) is trending like mad on Twitter. There have beenreports in the Russian media that he's had a stroke. Whether Putin is sick, or "is feeling fine," as his spokesman Dmitry Peskov insists, the system he presides over is far from healthy. Even if Putin the man is in top form, the "collective Putin," Russia's informal ruling circle, is showing signs of deep distress. In fact, over the past two weeks, since the February 27 assassination of opposition figure Boris Nemtsov, it has appeared to be in the throes of a crisis. Informal rules have been violated, rivalries among figures near the top of the power pyramid have escalated into open conflict, and Putin has been conspicuous by his absence. And while it is impossible for outsiders to truly know what is going on in the opaque world of the Kremlin's inner sanctum, there seem to be two possible explanations for Putin's disappearance from public view. Either he is fine and furiously working behind the scenes to calm the clan warfare that has emerged in the wake of the Nemtsov assassination. Or Putin is truly sick and incapacitated and the recent turbulence we have witnessed -- from the assassination to the muddled narratives in the investigation to the open conflict between the Federal Security Service (FSB) and Chechen leader Ramzan Kadyrov -- are symptoms of a highly personalized system that has lost its head. In a political system like Russia's, where formal institutions are weak, court politics are paramount, and personal ties mean everything, obscure signals and gestures matter a lot. So do informal rules. They have to, because the law doesn't apply to those on the top. This was one of the reasons why the Nemtsov assassination was so shocking. Killing somebody this prominent -- and certainly doing the deed blocks from Red Square -- was against the rules. As Ivan Yakovina, a former political correspondent for Lenta.ru, wrote recently in the Ukrainian newspaper Novoye Vremya, "Moscow's unspoken rules" forbid killing those other top politicians. Even those such as Nemtsov, a former deputy prime minister, who had gone into opposition. The killing, therefore, was "a signal to all representatives of this class," Yakovina added. And if the Nemtsov assassination has violated one of the cardinal edicts of Putinism, the aftermath violated another: Clan warfare among top members of the elite must not be played out in public. When the FSB named Zaur Dadayev -- a man with close ties to Kadyrov - as the mastermind of the Nemtsov assassination, it was interpreted in the elite as a direct assault on the Chechen strongman. Kadyrov is powerful. Perhaps one of the most powerful men in Russia. He has thousands of loyal armed men at his disposal; he has a strong lobby in the Interior Ministry; he counts key Kremlin power brokers like Vladislav Surkov as his allies; and he has long enjoyed Putin's support. But he has also acquired powerful enemies, including Kremlin chief of staff Sergei Ivanov, Kremlin political overlord Vyacheslav Volodin, and FSB chief Aleksandr Bortnikov. And Kadyrov's enemies now appear to be using the Nemtsov assassination to take him down. In a recent interview, the prominent journalist and Kremlin-watcher Oleg Kashin noted that it was significant that Dadayev and the other suspects in the Nemtsov case were arrested by the FSB and made public by Bortnikov himself. "Up until now, Bortnikov was not a public person who announces somebody's arrest," Kashin said. "This is usually done by Investigative Committee spokesman Vladimir Markin." This, Kashin added, also reeked of a "siloviki war" -- a showdown among the security services -- since Dadayev served as deputy commander of Battalion Sever, an Interior Ministry paramilitary unit formed by the Chechen leader. "Bortnikov struck a blow against Kadyrov," journalist and political commentator Orkhan Dzhemal told Ekho Moskvy. "There's a battle going on. The Spasskaya is fighting the Borovitskaya," he said, metaphorically referring to the two famous Kremlin towers. There was also a story in the opposition Novaya Gazeta that quoted unidentified law-enforcement officials who claimed the authorities know who really organized the Nemtsov hit -- a mysterious Chechen security officer, also with close ties to Kadyrov, identified only as "Major Ruslan." In fact, the FSB assault on Kadyrov appeared to commence in earnest before the Nemtsov assassination. In February, a Daghestani court sentenced two Chechens to nine and 12 years in prison on for plotting the assassination of Saigidpasha Umakhanov, a rival of Kadyrov's and the mayor of the region's third-largest city. The FSB also took the lead role in that case. And in a report this week -- note the timing -- Novaya Gazeta quoted FSB officials as saying the assassination was ordered by Adam Delimkhanov, Kadyrov's cousin and close associate. If a battle between Kadyrov and the FSB is about to go full-throttle, it would be a war of the titans that could shake the Putin system to its core. And Kadyrov's behavior -- from his much-publicized trip to a shooting rangethis week to the statement he posted on Instagram where he wrote that he would lay down his life for Putin -- suggest that he senses the danger. But for the time being, at least, Putin is nowhere in sight. А у вас была возможность сказать Суркову: «Владислав Юрьевич, уймите своих безумных обезьян»? FSB-Kadyrov Power Struggle Eclipsing Nemtsov Murder Probe, Media Says The Moscow Times - ‎7 hours ago‎ Russian media has reported that the investigation into the murder of Boris Nemtsov is suffering under a power struggle between President Vladimir Putin's protege Ramzan Kadyrov and the FSB. M.N. : Now the "dog eat dog" message acquired the new and probably its true meaning: "Kadyrov's footprints" ("Кадыровский след") revealed by his own chief of staff, behind which is the long simmering dispute with the central authorities and with the neighboring Ingushetia. The little Genghis Khan boy managed to step on many toes and to overstep many boundaries and red lines. 7 марта глава ФСБ Александр Бортников сообщил о задержании двух подозреваемых в убийстве - это выходцы с Кавказа Анзор Губашев и Заур Дадаев. Вечером секретарь Совбеза Ингушетии Альберт Барахаев добавил, что задержаны еще два человека: брат Губашева и мужчина, находившийся в машине вместе с Дадаевым. Характерно, что Рамзан Кадыров на этот раз как воды в рот набрал и не комментирует аресты. Ни слова про "кровавых убийц", и всё такое, как он это обычно умеет. Известно только, что вчера он усердно молился в кругу соратников. But the other part of this pair, one that suggests he will continue to use the carefully targeted repression he has used up to now, is at least possible. Yesterday, 27 February, Putin declared by presidential decree as ‘Day of Special Operations Forces’, making it a new professional holiday in Russia. The occasion, as he stated, was the first anniversary of Russian Spetsnaz taking over the Crimean parliament in Simferopol. M.N. : Was this new "Day of Special Operations Forces" celebrated with Nemtsov's murder as the "victory", signal and warning? M.N. : It looks like Putin uses the new Chechen Secret Security Services (which he "co-opted" via "amnesties", "ransoms" and "autonomy" deals) shrewdly, readily, willingly and "not knowingly", not to "dirty his own hands". This is his revenge for what he sees as the Western "meddling" in Chechen wars and separatist movement which nearly destroyed Russia and which he made his hallmark target from the beginning of his rule. But does he control them sufficiently? Are they getting out of his control? Might he fall as their unwitting victim himself? Is the degree of their autonomy and impunity an indication that something very sinister is cooking on the horizon? Or is this a part of his own, Putin's design: to show that something much worse than himself might be coming up very soon and that he should be appreciated for controlling these sinister forces? Are the recent events an indication of Putin's attempt to rein them in, because the old fox feels that reliance on them becomes counterproductive in his larger geopolitical plans and designs and he is exceedingly aware of their potential for treachery and playing double games? Is this his plan to kill two birds with one stone? His meeting with Bastrykin is unlikely to be just coincidental, just as his decision to send Bortnikov to Washington. At the recent State Council meeting Kadyrov apparently was allotted just "one of the equals" status which he did not look to be very happy about (06:44 on the video, the moment Putin was talking about "controlling the unjustified expenses"). It is not clear if their private meeting took place, which usually is a sign of the status of their "special relationship" (ambiguous Oedipal connotations notwithstanding). Even if it did, the information about it is not published on the Presidential website, which is a sign of its own. Any conclusions about the connections of this circumstance with the subsequent events would be speculative and premature but not out of the realm of the possible (as a hypothetical and bi-directional warning shot signal). The role of Surkov, who is a traditional "plenipotentiary liaison" with the ruling Chechen circle (due to the natural benefits of his half-blood double origins) and his Chechen battalion as the "smotryashiy", the overall controlling supervisor, in Russian - Ukrainian war (it is hard to call it anything else), is also of note. In fact, they are nothing more than just a bunch of pathological thugs, waiting till their time comes. Chechen leader Ramzan Kadyrov has embarked in recent days on a marathon of threat-laden spats with prominent public figures, making statements so brazen they would be unimaginable coming from any other regional leader. Analysts interviewed by The Moscow Times attributed Kadyrov's recent bout of brashness to the unyielding trust President Vladimir Putin seems to have had in the Chechen strongman since his clan began helping Russian forces bring the republic back under Moscow's control after the start of the Second Chechen War in 1999. Last week he lashed out at exiled tycoon Mikhail Khodorkovsky, who had been among those calling on media outlets to reprint the cartoons. Kadyrov also railed against the head of the liberal Ekho Moskvy radio station, Alexei Venediktov, over the news outlet's decision to poll readers on whether newspapers should publish the offensive cartoons. "There will be those who will call Venediktov to account" for insulting Muslims across the world, Kadyrov wrote via Instagram on Jan. 9. Kadyrov referred to the radio station as "the main anti-Islamic mouthpiece," saying Venediktov had knowingly insulted millions of Muslims. Venediktov denied in a blog entry that the poll had been motivated by anti-Islamic sentiment, and said he would appeal to law enforcement authorities as he takes "threats made by Ramzan Kadyrov very seriously." Russia's poor track record with press freedom is widely recognized. It ranked 148th of 179 countries in Reporters Without Borders' 2014 World Press Freedom Index. But the Chechen republic has had a particularly dark reputation in this arena since the murders of journalists Anna Politkovskaya (2006) and Natalya Estemirova (2009), both of whom were killed after having extensively covered human rights issues in Chechnya. When asked about the apparently fiery fallout of Kadyrov's claims at his annual press conference in December, Putin offered a gentle reprimand: "As a rule, the relatives of people who commit terrorist attacks are aware of it at least in the vast majority of cases … But this does not give anybody, including the leader of Chechnya, the right to any kind of extrajudicial settling of scores," Putin said. Several analysts have said that Kadyrov has a license to act offensively because he holds a special place in the Kremlin's heart. He "earned their trust by suppressing the armed opposition in Chechnya," said Mairbek Vatchagaev, a regional analyst with the Jamestown Foundation, a U.S.-based research institute. "Ramzan Kadyrov has an unlimited supply of trust from [President] Vladimir Putin. He will not say anything that would be harmful to Putin, or that wouldn't be in agreement with the personal opinion of the Russian president," Vatchagaev said. Carnegie Moscow Center analyst Dmitry Trenin agreed with this assessment, saying "Kadyrov has a license to say and do things no one else has. He is Putin's 'irregular' fighter, and his mission is to take on Russia's — and Putin's — enemies." "Kadyrov's unique position is based on the perception that he is the key person pacifying rebellious Chechnya. So, especially during a period of crisis, the government basically prefers to tolerate his actions rather than open a Pandora's box by restructuring the elite in the Caucasus," Engelhardt said. In general, relations between Moscow and Riyadh in recent decades have not been equal, but they have been multifaceted. One of the important milestones in their development was the visit by the head of Chechnya, Akhmad Kadyrov, to Saudi Arabia. At that time, in the early 2000s, Andrei Baklanov served as ambassador to Saudi Arabia, and was one of the organizers of the visit. Today, Andrei Baklanov - the famous Russian scientist-orientalist, an expert in the field of international relations, is a guest in the Vestnik Kavkaza studio. His visit - part of the restoration of normal relations, which occurred in the first half of the 2000s, and Kadyrovs’ merit is very high. For Chechnya it was important, because for her, the gates to the whole Islamic world were open. Especially considering that the Organization of Islamic Solidarity is located in Jeddah, in the city where Akhmad Kadyrov met with President of the Islamic Development Bank, and then agreed to develop this line of communication. This was a very versatile format of the visit, and in every direction Kadyrov was well prepared, brilliantly held talks, left a good memory of him, and began to do many things in practical terms. Even when the Holy Land was reconstructed, and because of this the quotas for those who come from abroad decreased, for us, for the Chechen component, an exception was made and our quotas were not reduced. We were given the opportunity to send the same number of pilgrims as before. This is a very important thing – psychological support. Before that, he had gained notoriety as commander of his father's private security force[! ], many of whose members were former resistance fighters who had availed themselves of successive amnesties. In that respect, Kadyrov's rise to power has been a classic example of Mao Tse-Tung's maxim that "all political power grows out of the barrel of a gun." Carnegie Moscow Center veteran analyst Dmitry Trenin recently characterized Kadyrov as Putin's "irregular fighter, and his mission is to take on Russia's -- and Putin's -- enemies." Kadyrov himself has confirmed his readiness to act in that capacity, affirming earlier this month that Chechnya has thousands of volunteer fighters who are ready "to fulfill any military command from Russia's commander-in-chief Vladimir Putin" and to defend Russia's interests anywhere on the planet [! ], including in circumstances where the deployment of "the regular army, air force, navy or nuclear forces" is inexpedient. Assuming that Kadyrov really is the second-most-powerful political figure in Russia, any number of questions still remain unanswered. First, what is the precise relationship between him and Putin? Did Putin realize Kadyrov's potential as a national military leader and play Pygmalion, molding him into a figure who would willingly undertake commissions that violate international law? Or did Kadyrov take advantage of the freedom of action and total impunity Putin gave him in order to indulge some psychopathic tendencies and insatiable appetite for power? More crucially, has Kadyrov indeed become the tail that wags the Kremlin dog? Or does Putin still retain some hold over him? Judging by Putin's warning to Kadyrov last month that he should abide by Russian law rather than engage in extrajudicial reprisals against insurgents' families, that is the impression Putin would like to give. Finally, will Kadyrov eventually demand some more senior official position in recognition of Putin's dependence on him, and if so, what might it be? Or will he be constrained to content himself with the twin roles of commander of what amounts to Putin's private army [!] and unofficial spokesman for Russia's Muslims? It is highly unlikely [?] Kadyrov will live to see his 40th birthday. In all probability he does not realise this. He, like all powerful leaders of the past, seems assured of his own invincibility. It is likely though, that President Putin realises otherwise. There are still rebels, those who dislike Karydov’s relationship with Putin who would seek control Chechnya and drive for independence. There is also the drag racing of Lamborghinis, the mafia and the underworld. There is the rampant corruption which, in the words of Professor Russell, makes even Russians eyes water. Odds are one of these will claim him before long, and Chechnya with its rebels, military stocks and extremists could easily return [?] to being ‘the most terrifying place on earth’. At least for now, the Kremlin sees challenging the current regime in Chechnya as risky and undesirable, and is tolerating Kadyrov’s rule above-the-law to spill outside Chechnya’s borders. "The Kremlin considers Kadyrov’s model of counter-insurgency and governance effective, and is likely to continue granting Kadyrov and his people very broad credentials" according to the Moscow director of International Crisis Group, Yekaterina Sokirianskaya. "This will not change, unless the pressure for change from within Russian society dramatically increases." Kadyrov completely embraces the Kremlin’s anti-Western ideology and blames the West both for provoking the Ukraine crisis and for supporting ISIS, which, in his opinion, was created and is being financed by Western intelligence services. In his critique of the West, Kadyrov sheds the euphemistic rhetoric occasionally used by more diplomatically-minded Kremlin politicians. Chechens, renowned for bloody tenacity and fearlessness during two wars in the southern Russian region over the past two decades, have joined in the battle against Ukrainian armed forces around the Donetsk region. Donetsk Mayor Oleksandr Lukyanchenko said that Chechens were among the 43 separatists hospitalized after a major battle for the Donetsk airport earlier this week. And Chechen fighters reportedly were among the 34 Russian citizens whose remains were sent back to Russia on Thursday. Russian opposition leader Boris Nemtsov posted on the Internet photos of well-armed men he said were Chechens performing Muslim prayers during the Donetsk airport battle, identifying them as soldiers of Chechnya’s strongman leader, Ramzan Kadyrov. Kadyrov, who was installed as Chechnya’s leader by Moscow, said any Chechens fighting in eastern Ukraine went there as private citizens. "No 'Chechen troops' and especially no 'Chechen military convoys' are taking part in the conflict,” he wrote on his Instagram page. There is no doubt that Chechens are now fighting in Ukraine, said Yaroslav Kovalchuk, director of the internal politics department of the International Center for Policy Studies in Kyiv. He also said the presence of Chechen fighters would hurt the separatist cause. “Earlier, a large part of local population supported or were loyal to the militia, because they thought it is local people,” Kovalchuk said. “Now, when they see Chechen people, they see indeed that it is not local gunmen, but it is military men coming from another country." Chechens are not the only foreigners reported fighting alongside local separatists. The sophistication of the training, weaponry, and equipment being used by some of fighters in eastern Ukraine has also led many to conclude that the Russian security and military intelligence agencies are funding, or sending, operatives over the border. "What we are seeing is a lot of mercenaries, from all over — veterans of the Afghan war, the Chechen war, both wars," Bohm said. "It is a good way to make money." Kadyrov did not say what special tasks he and his Chechen forces might perform for Putin. He may be saying no more than reiterating his proposal made on NTV two weeks ago to send Chechen volunteers to fight in Ukraine’s Donbass or reemphasizing his personal loyalty to the Kremlin leader in bombastic terms. But there are at least two other disturbing possibilities. On the one hand, Kadyrov may have been offering to make his Chechen fighters available for irregular warfare or active measures that Moscow may want to maintain plausible deniability of its own direct involvement, including attacks against facilities and individuals beyond the borders of Russia. And on the other, Kadyrov may also have been offering the Chechens to Putin as a special palace guard, a janissary-type force that he is suggesting the Russian president could count on in the event of a challenge to his rule from within the Russian security services themselves. There is a long tradition of such forces in Russia. In 1917, for example, the so-called Savage Division consisting of North Caucasians came very close to entering Petrograd under the command of General Krymov and drowning the revolution in blood, being dissuaded on the Pulkovo Heights by agitators who urged its members to go home and take power there. But Kadyrov’s offer could backfire on both him and Putin. Many in the Russian government will see this as yet another indication that the Chechen leader has become more an agent of the Russian president than a loyal part of the Russian state. And many more will see this as a dangerous indication of both what Putin may do and of what the Kremlin leader may fear. Are Kadyrov’s Days as Head of Chechnya Numbered? Staunton, December 15 – Ramzan Kadyrov’s ouster as head of Chechnya has been rumored so often that it has become something “expected” by some, but if he goes, that is likely to entail “unpredictable consequences” for Chechnya, the North Caucasus and Moscow, according to Temur Kozayev. Many had expected Kadyrov to be ousted last spring, the analyst says in an article onVersia.ru December 15, but the Chechen leader was saved by the events in Ukraine and his role in them. But “now after the October terrorist actions and the December battles in Grozny,” rumors about his possible replacements are swirling. Indeed, Kozayev argues that “it is entirely possible that an announcement about Kadyrov’s retirement will be made before the New Year’s holidays.” And the two most likely candidates are Aslambek Aslakhanov, who represents Chechnya in the Federation Council, and Alu Alkhanov, who headed the republic between 2004 and 2007. In addition to the two cases of violence in Grozny, there has been a third development which has undercut Kadyrov’s authority. Ramzan Tsitsulayev, Kadyrov’s special representative in Ukraine, recently found himself at the center of a scandal in Moscow after promising to get a businessman out of jail, failing, and then fleeing to Ukraine where he again landed in trouble. But what is even more important, he suggests, is the following: the money is running out and problems are beginning. Kadyrov has been paid out of oil profits for his loyalty to Moscow, and he in turn has purchased the loyalty of the local elite.” With the decline in the price of oil, there is no longer enough to do so, and conflicts within the Chechen elite are inevitable. And Cherkasov, who works with Memorial, says that he has his doubts that Moscow will move against Kadyrov now. The Chechen leader can and will argue that the violence in Chechnya came not from its own people but from other republics like Ingushetia and Dagestan which have not imposed order by the kind of draconian measures he has employed. Given Putin’s proclivities and Moscow’s fear of disorder, Kadyrov is likely to win his case, at least for now. And consequently, no “sudden cadres changes” are to be expected in Grozny, he argues, even though in the longer term Kadyrov’s approach like Putin’s won’t solve the problems of that republic or the larger region. The Joker: Tell your men they work for me now. This is my city. The Chechen: They won't work for a freak. The Joker: (mocking accent) Freack?? Why don't we cut you up into little pieces and feed you to your pooches? And then we'll see just how loyal a hungry dog really is! The Chechen was Gotham City's Chechen mob boss. and toponymy (study of place names). This blog further investigates "name games" and "number coincidences" found in news and history. Examinations are also found in my book The Copycat Effect (NY: Simon and Schuster, 2004). Tsarnaev contains the root tsar (also spelled czar, csar, or tzar) - a Russian emperor. A villain in the Batman universe, Mr. Hammer, has a tattoo which reads: "Joker The Tzar" in Russian. Dzhokhar Tsarnaev was named after Dzhokhar Musayevich Dudaev (Chechen: Dudin Musa-khant Dʒouxar/Дудин Муса-кIант Жовхар; Russian: Джохар Мусаевич Дудаев), who was a Soviet Air Force general and Chechen leader, the first President of the Chechen Republic of Ichkeria. He was born February 15, 1944, and reportedly killed by "two laser-guided missiles when he was using a satellite phone, after his location was detected by a Russian reconnaissance aircraft, which intercepted his phone call," on April 21, 1996. Ledger died on 22 January 2008 from an accidental intoxication from prescription drugs. A few months before his death, Ledger had finished filming his performance as the Joker in The Dark Knight. His death occurred during editing of The Dark Knight and in the midst of filming his last role as Tony in The Imaginarium of Doctor Parnassus. His untimely death cast a somber shadow over the subsequent promotion of the $185 million Batmanproduction. At about 2:45 pm (EST), on 22 January 2008, Ledger was found unconscious in his bed by his housekeeper, Teresa Solomon, and his masseuse, Diana Wolozin, in his fourth-floor loft apartment at 421 Broome Street in the SoHo neighborhood of Manhattan. According to the police, Wolozin, who had arrived early for a 3:00 pm appointment with Ledger, called Ledger's friend, actress Mary-Kate Olsen, for help. Olsen, who was in California, directed a New York City private security guard to go to the scene. At 3:26 pm, "less than 15 minutes after she first saw him in bed and only a few moments after the first call to Ms. Olsen", Wolozin telephoned 9-1-1 "to say that Mr. Ledger was not breathing". At the urging of the 9-1-1 operator, Wolozin administered CPR, which was unsuccessful in reviving him. 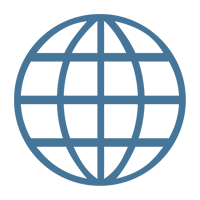 On 25 July 2011, the US National Security Staff released its Strategy to Combat Transnational Organized Crime: Addressing Converging Threats to National Security. On the same date, President Barack Obama issued Executive Order 13581, ‘Blocking Property of Transnational Criminal Organizations’. The Strategy states that ‘[t]ransnational organized crime (TOC) poses a significant and growing threat to national and international security, with dire implications for public safety, public health, democratic institutions, and economic stability across the globe. Not only are criminal networks expanding, but they also are diversifying their activities, resulting in the convergence of threats that were once distinct and today have explosive and destabilizing effects’. It also lists such threats as ‘penetration of state institutions, corruption, and threats to governance’ (particularly, in developing countries) and ‘threats to the economy, US competitiveness and strategic markets’ alongside (and, in fact, above) drug, weapons and human trafficking, cybercrime and theft of intellectual property. It also mentions unscrupulous ‘facilitators’: accountants, attorneys, notaries, bankers and real estate brokers who ‘provide services to legitimate customers, criminals, and terrorists alike’; the Strategy completes the list of threats posed by TOC with a reference to the ‘critical role of facilitators’. We agree with Dr Galeotti that Russian (or, as it has become common in recent years to describe it, Eurasian) organised crime is ‘a very fluid, entrepreneurial and networked phenomenon’ – how else could it have its successful formative period in the Soviet era when the state would not tolerate any underground (and underworld) organisation? In the past decade, throughout much of the former Soviet Union, we saw an emergence of some leading members of Eurasian organised crime as powerful businessmen (and, in some instances, politicians) and significant movements of various groups and individuals across the FSU and into Western countries. The text of the Strategy also shows disappointment that ‘foreign kleptocrats… have corrupt relationships with TOC networks’. Of course this statement could be applied not just to Russia, but it is Russia and other FSU countries that spring to mind immediately in this context. The U.S. Department of the Treasury has placed a member of the Russian Duma on its sanctions list of individuals involved in organized international crime. The Treasury Department said on July 2 that Duma member Adam Sultanovich Delimkhanov acts "for or on behalf of" Gafur Rakhimov, a key member of the Brothers’ Circle, a large multi-ethnic Eurasian criminal network. The Treasury's action freezes any assets Delimkhanov may have within the jurisdiction of the United States and prohibits any transactions with him by U.S. persons. The statement gave no further details of Delimkhanov's activities. But it said the Brothers’ Circle is made up of leaders and senior members of several Eurasian criminal groups largely based in countries of the former Soviet Union and also operating in Europe, the Middle East, Africa, and Latin America. Russian Army Colonel Sulim Yamadayev has survived an attempt on his life after being hit by three bullets in the underground parking of his Dubai apartment in the Marina district – said his younger brother Isa in the interview to Kommersant. According to some sources, Dubai authorities put Yamadayev under the witness protection program. Meanwhile, the further police investigation of this case--beyond the standing arrest warrant for the Chechen Vice Prime Minister Adam Delimkhanov(Demilkhanov)-- is likely to have been blocked by the powerful business and political partners of the Chechen President Ramzan Kadyrov and his intelligence chief Ruslan Saidov. Burtsev.ru has learned that Prince Turki al-Faisal had a conversation with the Emir of Dubai Sheik Maktoum bin Rashid Al Maktoum soon after the Dubai investigators paid visit to the local office of the private intelligence company Far West LLC, located in the Jumeirah area, where they talked with the president of Far West LLC Prince Rasheed aar Rasheed and Mr. Valery Lunev, the executive director and the head of the Dubai office. Prince Turki asked Sheik Maktoum “not to touch Kadyrov and Saidov.” Sheik Maktoum apparently gave his consent on the condition that no more murders would be attempted in Dubai. An article by Andrei Petrov, published last January, provides a rare glimpse into the secret world of offshore private intelligence and military companies. According to Petrov's German sources, financial report of FW's subsidiary Far West Gulf, LLC for November-December 2008 included payments for 2009 orders from four offshore companies. The Germans were able to identify the payees who stood behind these offshores. One of them was the largest Chinese state oil company Sinopec (transfered to FW Gulf $23 million). Another $38 million came from the informal consortium of three prominent Near East families – Saad Hariri's (Lebanon), Turki al-Faisal's (Saudi Arabia), and Nawaz Sharif's (Pakistan). The third payment of $16 million came from a group of Iranian firms exporters of high-tech equipment with connections to the Parliament Speaker Ali Larijani. The biggest payment ($19 million and 49 million euros) came from a “strange group” of Ukrainian coal mine owners in Donbass and Lugansk Region and the German manufacturers of equipment for nuclear power stations. Petrov associated at least some of these payments with the “gas war” between Ukraine and Russia in January 2009. This hypothesis was supported by the substantial evidence that General Filin has been playing important role in the behind-the-scene orchestration of gas conflicts with Russia. Ruslan Saidov (b. 1960 as Ruslan Shamilievich Sadulaev in Khasaviurt, Daghestan, USSR), half Chechen, half Spaniard. Ret. Major of the Soviet General Staff. General-Major, Ministry of Defense, Republic of Uzbekistan. Advisor to the Defense Minister Ruslan Mirzaev; head of the illegal "external intelligence service of Chechen Republic," formerly "The Istambul Bureau." Close associate of the former Chechen intelligence chief Khozh Nukhaev, wanted for the murder of the Forbes journalist Paul Khlebnikov. Known cover names: Ruslan Saidov (Russian passport), Ruslan Muhammedovich Muhammedov (Uzbek passport), Nihat (Turkish passport). Resides in Istambul and Dubai. Controls (through intermediaries) a number of construction companies in the Gulf. Saidov's companies participate in the management of Jumeirah Beach Resort and the Mall of the Emirates. Vice-President of Far West, LLC. Saidov is thought to be a Sufi sheik and a liason between Central Asian, North Caucasian, and Jordanian tariqas. Politically, he is associated with a radical Pan-Turkist branch of the Grey Wolves underground. According to burtsev.ru sources in CIS intelligence sources, Saidov was the mastermind of the recent assassinations of Kadyrov's opponents in Moscow, Vienna, Istambul, and Dubai. Valery Lunev (cover name, b. 1960, in Kuliab, Tajikistan). Officer of the Soviet General Staff. In the 1980s took part in anti-COCOM activities in the Netherlands. Has Dutch passport. Major-General of Belorussian KGB, in “active reserve” since 2007. Served in Iraq (1990-1991). Converted to Islam after marrying a relative of President Dudaev . Pan-Turkist, connected to radical branch of the Grey Wolves underground. Fluent in Arabic and Farsi. Executive Director of Far West, LLC . Vladimir Ilyich Filin (b. 1959 in Kiev as Vladimir Ilyich Litovchenko). General-Major of the Main Intelligence Directorate, Ukrainian Ministry of Defense. Coordinator of the intelligence consortium of Polish, Belorussian, Lithuanian, and Ukrainian military intelligence services. Ideologically motivated neo-Banderovite, thought to be one of the central figures of the “Banderovite Center” in Ukraine's army and intelligence community. Ruslan Shamilyevich Saidov (aka Ruslan Said) fought in Abkhazia in 1992-1993 with Shamil Basayev andGary Aiba. He was subsequently transferred to the reserves in November 1993. In 1994, he worked with Russian defense minister Pavel Grachev and Chechen leaders Usman Imayev, Hozh-Ahmed Nuhaev, andDzhokhar_Dudayev to transfer arms to South Yemen rebel forces in Aden during the1994_civil_war_in_Yemen. In 1995. Saidov wrote a book that was praised by Necmettin Erbakan of Turkey's Muslim Brotherhood frontWelfare Party, which would rename itself to the AKP after it was outlawed. That same year he became associated with Filin and Likhvintsev. In 1996, he was a character witness for Al-Gama'a al-Islamiyya leaderAyman Zawahiri and attempted to use his influence to have Zawahiri released after his arrest for entering Russia with a forged passport. ВШ. Это означает фактическое соучастие правоохранительных органов и спецслужб РФ, включая ГРУ, в кадыровском терроре. Я упомянул Атлангериева. Вот пример такого сговора. Это был личный осведомитель Бортникова, главы ФСБ. Связь с ним Нухаев и Саидов поддерживали именно через Атлангериева. Так вот Прокуратура РФ не издала ни звука, когда Саидов открытым текстом объявил, что его люди похитили и потрошат Атлангериева в Гудермесе. Какие еще доказательства нужны? Убийство Руслана Ямадаева в центре Москвы было бы невозможно без согласования с высшими чинами ГРУ. Это ростки какого-то мафиозно-террористического режима, который все больше входит во вкус "решения вопросов" внесудебным путем и публично, как бы для устрашения остального общества. Кадыровщина начинает напоминать опричнину. Чечня - это район, где действуют не законы "земства" - РФ, а это как бы особый царский удел, "опричнина", со своими законами (адаты и шариат) и единоличной властью, куда идут огромные финансовые средства из "царской казны", и на них содержится прекрасно обученная и вооруженная личная армия опричников Кадырова. Сам же Кадыров лоялен только лично Путину. И все это на фоне катастрофического развала российской экономики, казнокрадства под ширмой "борьбы с кризисом" и стремительного падения престижа Путина в спецслужбах и армии. А те, в свою очередь, фрагментированы на боярские поместья и удельные княжества. И может случиться так, что единственной опорой Путина внутри страны станут кадыровские опричники. Например, в случае "второго пришествия" аппаратной группы Сечина. В европейском фашизме и нацизме, и в советском терроре была массовая база, значительная часть населения принимала в нем прямое участие. Даже в правом терроре в Латинской Америке была определенная социальная база. У нашего мафиозно-террористического тренда нет никакой массовой опоры. Это чисто верхушечный террор: Кремль, спецслужбы и другие силовые группы. Они срослись с организованной преступностью и вошли в альянсы с финансово-промышленными группами. Мне это так представляется. Пока этот террор средь бела дня ограничен чеченцами. Но есть опасность того, что ликвидации реальных и воображаемых противников кадыровщины это пролог, репетиция, что ли, мафиозно-государственного террора в России против любого более менее заметного или потенциально опасного политического деятеля. Вадим Штольц. Почему российские власти потворствуют подрывной деятельности против России генерала ГУР МО Украины В. Филина и генерала ГРУ ГШ ВС Республики Узбекистан Р. Саидова? Надо сказать, что у немцев великолепно поставлен сбор информации на Ближнем Востоке, особенно в Турции, арабском мире и Афганистане. Им есть, что рассказать даже о глубинной жизни и политике суфийских тарикатов в этих местах. И, заметьте, речь идет о журналистах, а не разведчиках. Так вот, благодаря нашим новым друзьям и партнерам, в самое последнее время нам удалось далеко продвинуться в понимании фигуры Руслана Саидова и его непростой служебной истории. Главное открытие состоит в том, что Саидов находится на активной службе военной разведки Республики Узбекистан и имеет генеральский чин. В частности, один немецкий журналист рассказал нам такую историю. В 2002, когда немцы обустраивались в Термезе, узбекское военное руководство им официально представило полковника ГРУ ГШ ВС Республики Узбекистан Руслана Мухаммедовича Мухаммедова. Он был в форме при погонах, фамилия и отчество, конечно, были вымышленные, но это был вылитый Саидов, вплоть до едва заметного шрама от ранения 1999 года – чуда пластической хирургии. А совсем недавно, в начале 2008 немцы были в Ташкенте, в здании Минобороны, и случайно увидели там Саидова в штатском. Он свободно, без сопровождающих, дефилировал вблизи кабинета министра обороны Мирзаева (бывшего начальника ГРУ РУ), что посторонний человек делать не может. Сделать из этого вывод о генеральском чине Саидова было нетрудно. Таким образом, Саидов -- действующий сотрудник ГРУ РУ под прикрытием , параллельно директор незаконной разведки Чечни Кадырова, и параллельно партнер американцев в Афганистане по эскадронам смерти. Под последними имеется в виду т. н. Баграмская группа кадыровской разведки. По данным немецких и среднеазиатских источников, боевая задача бойцов узбекского генерала Руслана Саидова, снабженных американскими документами, состоит в оперативном сборе информации об агентуре России, Германии, Китая и Франции на территории Афганистана, Вазиристана (Пакистан) и Узбекистана и ее физическая ликвидация. Это не пустые угрозы. Генерал Саидов - человек не слова, а дела, как и генерал Филин. Они убили многих. Саидов вещает и угрожает не только от себя лично и своих эскадронов смерти, но также от Серых волков и суфийских шейхов. Филин - не только от ГУР как спецслужбы, но от настоящего ОУН, ведущего традицию от террористов Коновальца, Бандеры и Шухевича (а не от подставного ОУН Тарасюка). Но российские власти продолжают делать вид, что не замечают, как группа генералов иностранных разведок ведет активное информационное сопровождение боевых антироссийских операций со страниц российской прессы. Возьмем семью Усманова. К 80-м это была советская патрицианская семья, и будущее выглядело для нее блестящим, хотя и далеким от коммунизма по Марксу. Она уже жила в своего рода «коммунизме по понятиям». И вдруг – катастрофа. Кто снимает прокурора Усманова и сажает его сына – выпускника МГИМО? Какие-то безродные опричники из Ленинграда и Москвы - гдляны и прочие «демократические» собчаки. Понимаете? И так повсюду - «уважаемых людей» преследуют проходимцы, оборванцы, выскочки. Они приходят к власти как когда-то сталинская молодежь пришла к власти и выселила с Дома на набережной и его ташкентских и тбилисских реплик «уважаемых людей» 30х. Разве это справедливо? Филин, Суриков, Саидов – сыновья советских «уважаемых людей»: крупных дипломатов, ученых, партработников. Их сердца жжет праведная ненависть к дворняжкам вроде Путина, Иванова и Сечина, которые узурпировали то, что по праву рождения должно было бы принадлежать им - детям советского дворянства. А кто такие Березовский, Гусинский, Ходорковский? Такие же дворняжки, безродные фарцовщики, мелкая агентура по сравнению с Усмановым - советским принцем. Что я хочу сказать? Да, архаичные структуры вроде УКГЦ и тарикатов, родовых и региональных кланов имеют большое значение. И советская элита южных окраин формировалась во взаимодействии с этими структурами, опираясь на них. Но не сливаясь с ними. И эту часть «айсберга» имеет смысл выделять как автономную. А вот, товарищи, Саидов-Садулаев Руслан Шамильевич. На вид скромный такой узбекский генерал, скуп на слова, слуга царю и все такое. На фото обычно одет в какие-то лохмотья, перманентно плохо выбрит, депрессивно-суицидальный взгляд... Посмотришь на него, ну от силы двушка-трешка может где-нибудь на окраине Ташкента, юрта там с парой баранов в Каракуме. Но чтобы дворцы и виллы?! Да еще в центрах неофеодальной роскоши?! Никогда бы не поверили! Но свидетельства документов международного неотроцкистского движения неоспоримы и поражают воображение. Как говорится, в тихом болоте черти водятся. Так вот, товарищи. Скромный узбекский генерал Саидов-Садулаев-Мухаммедов имеет две огромные виллы на Аравийском полуострове в Дубае. Одна из них – на искусственной косе Палм-Джумейра, где круглый год блаженствует крупная буржуазия со всего мира. Невольно задаешься вопросом, товарищи: если какой-то генерал-майор МО РУ имеет две виллы в Дубае, то сколько же тогда дубайских вилл у самого министра обороны Руслана Мирзаева? 20 что ли? А у президента Каримова? 200? Но это так, приблизительные оценки к сведению узбекских неотроцкистов. Пусть блаженствуют... пока. Насыпной остров Палм-Джумейра и типичная пятиспальная вилла. Скоро сюда за кое-кем придут неотроцкисты... с паяльниками и не только. К дубайским виллам Саидов прикупил и яхточку. Не пешком же по Индийскому океану от неотроцкистов спасаться. На глаз, суденышко метров этак в 50-60 от кормы до носа, хоть выходи к сомалийскому побережью танкеры на абордаж брать. Значит, где-то футов на тридцать-сорок переплюнул боевого друга Владимира Ильича. Таким образом, у Фарвеста начинает вырисовываться что-то вроде приватной флотилии. Третья большая вилла у Саидова в Стамбуле. Там же и отдельные апартаменты у его сына и двух дочерей. Для детей ничего не жалко! Перейдем к директору московского Института Троцкого. В Москве же Суриков живет по-партийному скромно - eздит сам за рулем на Тайоте-Версо, а для конспирации и в метро может нырнуть. В этих условиях будут востребованы идеологическая платформа и политическая сила, которые смогут реализовать потенциал социальной революции. Такой идеологией может стать НЕОТРОЦКИЗМ, провозглашающий лозунги интернационализма, экспроприации экспроприаторов, радикального слома путинской системы и установленных ею правил, и поголовное устранение всей нынешней так называемой элиты методами 1917 года. Такой политической силой может выступить не окончательно деградировавшая зюгановская КПРФ, партия-проститутка, а только новая организация, в которой ведущие роли будут играть неотроцкисты. A surprising research was done by a Russian left-wing investigative site left.ru. They traced the routes and persons involved in the traffic and found some sinister details. The left.ru article is not an easy read: its language is convoluted; there are too many unknown names. However, until a reader will produce a readable version and until it will be verified, the gist of the article is as follows. Expectedly, Halliburton is in the midst of the plot. So is the Uzbek-Chechen General Ruslan Saidov, an ex- GRU handler of Shamil Basaev, ex-deputy chief of Maskhadov's external intelligence. Behind them stand the far-right-wing neocon Heritage Foundation and its own war hawk Ariel Cohen. Cohen is liaised with Joshua Muravchik, Robert Kagan and some other professional Zionist warmongers and Russia-haters. Doku Umarov is also very closely connected to Brigadier General Ruslan Saidov (head of the Istanbul Bureau of the External Agencies of the Republic of Ichkeria & the FAR WEST LTD, a front company based in Dubai). Ruslan Saidov was himself closely connected to the late Turki bin Faisal, who was the head of Saudi Intelligence & ambassador to the US. Saidov was also actively associated with al-Walid who was the Saudi intelligence operative in the Caucasus (Anton Baumgarten, editor of Left.ru). Further is the case of Rizvan Chitigov, the number three man in the Chechen insurgency. He was known as "the American", because he had lived in the US for years & "Marine" because he is said to have been trained & graduated from an elite subversive and reconnaissance school and had signed on to the marine squad. According to the Moscow News, "Chitigov had a green card — a permanent residence permit in the U.S."
The Victory Day celebration and the military parade in downtown Grozny looked rather modest compared to the amazing scope of the events that marked the Day of Mourning on the fifth anniversary of the death of President Akhmat-Khadzhi (Akhmad) Kadyrov. In building the cult of his father, Ramzan Kadyrov does not skimp on either money or rhetoric. The head of Chechnya is not in the habit of limiting himself in the choice of enthusiastic epithets when it comes to people with whom he feels a special emotional bond. In a recent interview for the leading Russian newspaper Rossiiskaya Gazeta he called Vladimir Putin a "saint". To describe his father, he found is no less powerful an image of the same sort. In an official Address to his compatriots, Kadyrov presented Akhmat-Hadzhi as a “righteous man” [pravednyi]. The cult would not be a cult were it not to contain, in addition to a righteous man who was able to lead his people out of the quagmire, a place for the rabble and the enemies of the human race. At the joint meeting of the Parliament and the Government during which Kadyrov described the heroic efforts his father had made to protect the integrity of the Russian Federation, he referred to the hirelings of international terrorism. Speaking from the stage of a concert hall in the presence of numerous exalted guests, the Chechen leader once again explained why he finds the representatives of the armed insurgency so disagreeable. Apparently the whole problem lies in their inferior pedigree. Udugov’s mother was a prostitute, and Basayev had no family at all. Such revelations from the mouth of the Chechen leader are not infrequent. Kadyrov shares the notions of the man in the street about the purity of Chechen blood and the character of the true Aryan. Nevertheless, where a subject as painful as the murder of one’s father is concerned, a certain degree of naiveté may be excusable. With each passing year this story, now five years old, becomes more and more complicated as it acquires fresh versions and details. Responsibility for the blast at Grozny Stadium which resulted in the death of Akhmad-Khadzhi Kadyrov was almost immediately claimed by Shamil Basayev. He said that those who actually performed the deed were given 50,000 dollars for a successful assassination attempt. In 2007, the Chechen interior ministry announced the death of the Chechen field commander Khairulla, who had been declared Kadyrov Senior’s assassin. In 2008 Ramzan Kadyrov confirmed in an interview for the radio station Ekho Moskvy that the main culprits in the case had been eliminated. He explained to the journalist in very candid terms the lengths to which he was willing to go in order to obtain revenge. He said that those who were subject to elimination included not only the people directly connected with the killing, but also those who knew anything about it, or said that they did. However, the matter is slightly more complicated. After the recent assassination of Sulim Yamadayev two new theories about the killing immediately appeared. Responding to accusations made by the Dubai police against his cousin and former associate, Adam Delimkhanov, to the effect that he had organized the attack on Yamadayev, Ramzan Kadyrov suddenly announced that the Yamadayev brothers had been involved in the death of his father. These accusations provoked astonishment among people who were familiar with the situation. In the altercations that ensued, Sulim’s younger brother Isa revealed one of Kadyrov Junior’s secrets. It transpires that within his narrow personal circle the head of Chechnya routinely blames his father’s murder on the Russian special services. While it has long been known that this hypothesis enjoys great popularity in Chechnya, Ramzan himself has never taken the liberty of calling into question the official version. The fact that Isa’s claim may not be without foundation is confirmed, in part, by the opinion of the garrulous conspiracy theorist Ruslan Saidov, who lives in Dubai and is considered by Kadyrov to be a person he trusts. 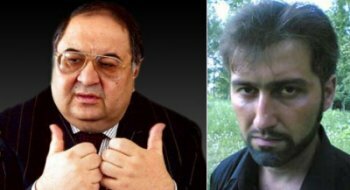 As someone who likes to present himself as an expert on the subtleties of all the secret movements of Chechen politics, and as a man who is indeed well-informed, Saidov writes the following passage on his Livejournal blog: "With regard to the FSB, the person of interest is not Mairbek himself, but his close cousin Khairulla. He interesting in the context of the blast at the stadium on May 9, for which the perpetrators of the blast – Anisimov and Tikhonov – forced Khairulla to take public responsibility. Khairulla was a secret agent, as were about half of the Wahhabi leaders..
“In January 2004, Akhmat-Khadzhi flew to Saudi Arabia, where with Prince Turki al-Faisal and Sheikh Muhammad Sadiq Muhammad Yusuf he signed an agreement for the withdrawal of the Arab contingents from Chechnya. Between February and April approximately 75% of the Arab fighters left Chechnya for Iraq, and Abu al-Walid was eliminated by Sulim Yamadayev’s Vostok battalion. During that period Magomed Khambiev, Boris Aidamir and Shaa Turlayev also left the resistance. In May 2004, after Putin's inauguration, Aslan Maskhadov was to have issued an order for the resistance to cease and powers to be resigned and transferred to Akhmat-Khadzhi, and for himself to be legalized under an amnesty. Putin agreed to this. Shamil Basayev and Dokka Umarov also agreed to quietly leave for Jeddah. On the eve of Maskhadov’s visit, FSB officers killed Akhmat-Khadzhi, and the whole plan fell apart. " Whatever one thinks of Saidov’s conspiracy theories, the belief that the insurgents and the Russian special services operate in harmony together is very widespread in Chechnya. And, as his view of Udugov’s mother indicates, it is likely that Ramzan Kadyrov shares such perspectives. But if he really believes that the FSB were involved in the murder of his father, this means that his filial loyalty is constantly being subjected to a severe test. It is not easy to live while constantly meeting and working with the representatives of the sinister agency that is responsible for the death of the person who is dearest to you. Moreover, Vladimir Putin -- another of Ramzan Kadyrov’s idols, to whom he never tires declaring his love – recently had a close connection with that same agency, and almost certainly knows right down to the last detail whether his former colleagues were involved in the murder of Akhmat-Khadzhi or not. One last thing. As it is becoming clear, Akhmat-Khadzhi’s death also represents an important source of political capital for his son. Kadyrov knows better than anyone else that the Yamadayevs had no interest in the death of their closest ally. In raising the charge of murder against them, the head of Chechnya has apparently decided that his father’s death can be used to the family’s benefit, by making it handsome and compelling grounds for Adam Delimkhanov’s acquittal. Акция памяти Бориса Немцова в Хабаровске Ссылка на источник - http://www.svoboda.org/media/video/26875760.html. TV host and executive Vlad Listyev, investigative journalist Anna Politkovskaya, and opposition leader Nemtsov were shot dead in Moscow, within a few kilometers of the Kremlin -- and yet the Russian authorities have not established ultimate responsibility for any of the three killings. A number of smaller rallies are being held in cities across Russia. in Voronezh, local activists report “anti-Maidan” guys showed up and threw green dye at the them. Ukraine president Poroshenko has claimed Nemtsov was about to prove Russian involvement in Ukraine and was killed because of that, although here people sceptical about that version - there was enough info in the public domain about Russian involvement already, the government just ignores it. A Russian news website, Sputnik News, is carrying a video it says shows the killer or killers approaching Nemtsov on the Bolshoi Moskvoretsky bridge. A moment later a man, possibly the killer, is seen running out from behind the snowplow and jumps into the waiting car. Just how he got on the bridge is hard to say though. It looks like the murder was carefully planned in advance. My working hypothesis is that Nemtsov was killed by some murderous mavericks, not government agents, nor opposition fanatics. But the reason they felt obliged to go and gun down a frankly past-his-peak anti-government figure is highly likely to be precisely because of the increasingly toxic political climate that clearly is a product of Kremlin agency, in which people like Nemtsov are portrayed as Russophobic minions of the West, enemies of Russia’s people, culture, values and interests. So, to loop things round, Putin is guilty, I suspect – and all the caveats about the lack of hard evidence yet – the same way that tobacco companies are considered guilty of cancer deaths after they may have known about the risks, or any hate-speaker may be when some unhinged acolytes take their sentiments and decide to turn them into bloody action. Alec Luhn, who is among the many reporters with the march, tweets this photo of another of the marches taking place today, in Ekaterinburg. The danger is, he may have peaked too early. His reforming zeal is bound to earn him enemies. Thousands of people are expected to march through central Moscow to commemorate Boris Nemtsov, a high-profile and vocal critic of the rule of Vladimir Putin, who was shot dead near the Kremlin late on Friday. The charismatic 55-year-old, who was Russia’s deputy prime minister under the rule of Boris Yeltsin, was killed with four bullets to his back on a bridge in the shadow of the Kremlin’s towers. Thousands of people gathered in central Moscow Sunday for a march to mourn murdered opposition leader Boris Nemtsov. Russian authorities, usually slow to give permission for large opposition rallies, gave quick approval for Sunday's memorial march. 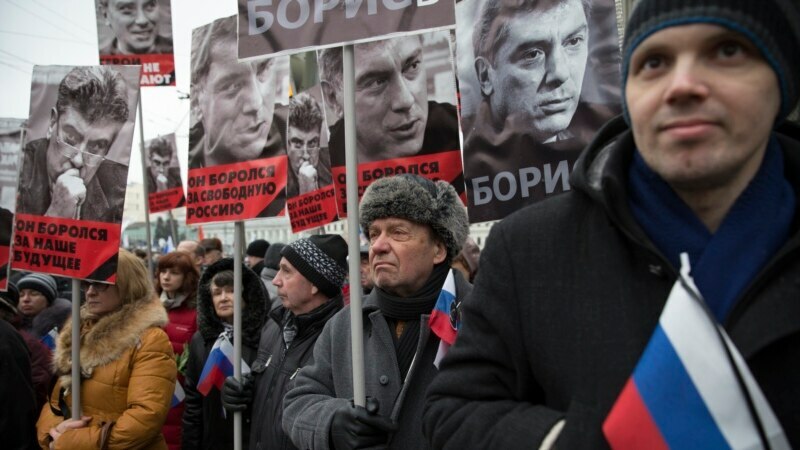 Nemtsov, 55, was to have led an anti-war and anti-Putin rally in Moscow. Instead, as many as 50,000 people are expected to come out to pay tribute to the man whom U.S. President Barack Obama called a "tireless advocate" for the rights of the Russian people. Police are hunting for those responsible for shooting Nemtsov four times from a car while he and a female companion crossed a bridge over the Moscow River Friday night, just steps from the Kremlin. The woman was not hurt. People have continued to leave flowers at the site where Nemtsov was killed. Putin to oversee investigation Russian President Vladimir Putin said the shooting looks like a contract killing, and he called it a "provocation." The Kremlin said he will personally oversee the investigation. Putin sent a condolence letter to Nemtsov's mother, Dina Eidman, saying he sincerely shares her sorrow, and calling Nemtsov's death an irreparable loss. But just a few weeks ago, Nemtsov told the Russian news website Sobesednik he thought Putin wanted him dead, and he did not hold back his contempt for the Russian leader. "I'm afraid Putin will kill me. I believe that he was the one who unleashed the war in Ukraine. I couldn't dislike him more," Nemtsov said. Ukrainian President Petro Poroshenko condemned Nemtsov's murder, calling him a "bridge" between Ukraine and Russia. Obama called the killing "brutal" murder, and said Russia must carry out a prompt and impartial investigation. France's President Francois Hollande expressed anger at Nemtsov's death. He called the shooting a "hateful murder," and described Nemtsov as a "defender of democracy." Attempt at destabilization Russia's Investigative Committee commented that it is possible the crime could be an attempt to destabilize the political situation. Spokesman Vladimir Markin said Saturday it also could be linked to Islamic extremism or the situation in Ukraine. Putin's opponents say such suggestions show the cynicism of Russia's leaders as they whip up nationalism, hatred and anti-Western hysteria to rally support for his policies on Ukraine and deflect blame for an economic crisis. “It is a blow to Russia. If political views are punished this way, then this country simply has no future," Sergei Mitrokhin, an opposition leader, told Reuters of Nemtsov's murder. Some media outlets blamed the murder on nationalists, who have been accused of several assassinations, including that of human rights lawyer Stanislav Markelov in 2009. “I flatly deny any involvement of nationalists in these events,” Dmitry Dyomushkin, a leader of “The Russians” nationalist organization, told Reuters. Nemtsov was a deputy prime minister in the 1990s, and many Russian observers predicted he would succeed then-President Boris Yeltsin. After Yeltsin chose Putin as his successor, and Putin's subsequent election in 2000, Nemtsov became one of Russia's sharpest and most outspoken Putin critics, especially since last year's uprising in Ukraine. In September, Nemtsov told VOA that Putin wants revenge for Ukraine's overthrow of its pro-Russian president. He said Putin fears that what happened in Ukraine could happen in Russia, and sees a pro-European Ukraine as a threat to his own power. Investigative committee Vladimir Markin of the Russian Investigative Committee said, "Currently the investigation is looking into several lines of inquiry. First of all of course, it is the possibility that the murder could be a provocation to destabilize the political situation in Russia. And Nemtsov could become a sacrificial victim for those who would not stop before using any means to reach their political goals." "Also we are closely looking into a possibility that the murder could have links with Islamist extremism. The investigation has information that Nemtsov received threats linked to his position about the shooting at the Charlie Hebdo magazine office in Paris," Markin added. "Besides, we are already checking a line of inquiry linked to the events inside Ukraine. It is no secret that on both conflicting sides there are very radical individuals not controlled by any authorities," he said. Some material for this report came from Reuters. Staunton, March 1 – The ongoing “zombification” of Russian society and especially of young people and intellectuals is “a guarantee of the continued rule” of the Putin regime, but it is destroying the prospects for the development of Russia now and in the future, according to Dmitry Strovsky, an outspoken professor of journalism at the Urals Federal University. In a wide-ranging interview with Aleksandr Zadorozhny of Znak.com, Strovsky who has been in hot water before for his criticisms of Moscow’s policies on many issues argues that the narrowing and closing of the Russian mind under Putin is already having tragic consequences (znak.com/moscow/articles/27-02-19-41/103622.html). Moscow’s efforts to limit the range of information and interpretations people have has led to “the colossal problem” of a rise of a new generation whose “quality is falling catastrophically.” Because of shortcomings in their earlier educations, he says, they increasingly act as if there was no history before their appearance on the earth. Many of the students he sees do not know what happened in Russia over the last two decades. For them, “the 1960s and 1970s are as distant as the times of Napoleon and Kutuzov” are for their elders. And all too often, “the 1930s are just as far away as … the Tatar-Mongol yoke.” They thus lack any basis for judging their own times, and the Kremlin exploits this. “Having finished university, these people formally are considered pedagogues, but what can they give to students when they themselves” formed at such a time of uncertainty lack “an integral worldview” and have “only the most cloudy idea about where we have come from and where we are going,” he continues. Instead of families andbooks, the authorities for this rising generation “have become the mass media,” which all too often presents the most “primitive” “black and white” views of whoever is in power – especially when journalists are actively discouraged from presenting discussions of issues and told to put out one version of reality. “The entire world has condemned Nazi ideology, including at Nuremberg. But now, in the new millennium, it turns out that we are publicly approving some of its obscurantist ideas.” That would have seemed preposterous and absurd only a decade ago, but now it is happening – and few understand the origins of these notions. According to Strovsky, the key task of totalitarian ideology is to eliminate the experience of the past and to eclipse it with the absolutization of the present day” because that allows those in power to make any shift without having to explain their reasons. “Totalitarianism destroys the links between cause and effect,” the Urals scholar says. And today, the Putin regime is doing what the Bolsheviks did in the 1920s and the Nazis did in the 1920s, eliminating any possibility that people will be able to draw on the experience of the past to criticize the present. Another reason that the Putin regime has been able to move in this direction is the amount of poverty in Russia. “The pro-Putin majority is relatively poor,” and its members need not only goods but confidence that the state will ensure that they get at least the minimum even if it denies them the opportunity to get more. “’Non-totalitarians,’” in contrast, he argues, are “creatively oriented, thinking and doubting” and their chances of retaining memory are somewhat higher. But unfortunately, In life, [they] often are fated to greater complexities,” and thus this is not attractive to many, including many who think of themselves as intellectuals but who want a comfortable life. Indeed, Strovsky says, there are ever fewer genuine intellectuals, people prepared to question authority and challenge it. Instead, they are quite prepared to use “the newspeak” the regime employs to hide its goals and to seek the best possible places for themselves rather than to live up to their calling. Increasingly and mirroring the behavior of those in power, they focus only on immediate tasks and thus both create ever more problems for society in the longer term, he argues. That is what is happening in education and culture in Russia today. The powers that be may be getting a loyal group of subjects, but they are ensuring that Russia will suffer even more in the future. Акция памяти Бориса Немцова в Томске Ссылка на источник - http://www.svoboda.org/media/video/26875880.html. Кто, как и почему ведет современные информационные войны? Staunton, March 1 – The horror and revulsion all people of good will feel about the murder of Boris Nemtsov in the shadow of the Kremlin has led many to treat this latest crime as if it were something new. In fact, the killing of Nemtsov is only the latest example of Vladimir Putin’s much-tested approach to dealing with his political enemies. That approach, as Ilya Milshtein suggests, has now become almost institutionalized. First, Putin marginalizes his enemies, then he or his allies kill them, and then he muddies the water by putting out multiple versions of what supposedly has happened, confident that few will connect the dots and hold him responsible (grani.ru/opinion/milshtein/m.238474.html). But all too many people are not prepared to recognize that reality, either out of fear in the case of many in Russia itself who even now are asking “who will be next?” or out of concern in the case of some Western leaders that speaking truth about what Putin is about could provoke the Kremlin leader even more. Both groups need to follow the advice of the late Pope John Paul who told his fellow Poles that they must “not be afraid.” Boris Nemtsov wasn’t, and neither must Russians nor Western leaders. Instead, they must recognize that they are not dealing with a normal leader but with a dangerously abnormal one. Normal politicians forget about those who cannot challenge them. The books they write and the meetings they organize or speak to can all be ignored. But Putin is not a normal politician, and he does not respond that way. Instead, he focuses on those who disagree with him, seeks to marginalize them, and then directly or indirectly removes them from the scene. “First there were the Chechens, then the oligarchs with their television channels, later the Georgians, now the Ukrainians, Europeans, Americans, and always those who disagree,” Milshteyn says. And when something awful happens, Putin and the Kremlin PR operation goes into overdrive to push multiple versions to obscure what is going on. Putin’s press secretary yesterday said that the killing of Nemtsov was a provocation against the Kremlin. “In fact,” Milshteyn asks, “who could have decided on such a step besides enemies and conspirators? Obama? Merkel? Navalny? It is too bad,” he continues, that “Berezovsky is dead because then it would have been convenient to blame him” as well. Putin and his accomplices should be charged with “incitement to murder,” which is a crime under the Russian criminal code. But he and they have learned that the use of hatred and fear not only protects them from that but brings them major political dividends – and they aren’t about to change either voluntarily. Boris Nemtsov, who has died aged 55 after being shot, was a leading pro-market reformer in the first, tumultuous post-Soviet decade and a popular politician and regional governor who at one point appeared to have been earmarked by President Boris Yeltsin as his successor. An articulate and handsome figure who appeared regularly on television talk shows, he served briefly as deputy prime minister, but was sacked after the financial collapse of 1998, which was blamed on him and other neo-liberals in the Russian government. After Vladimir Putin came to power in 2000, Nemtsov fell out of favour with the Kremlin and turned to out-and-out opposition politics. In 1999, with Anatoly Chubais, one of the main architects of “shock therapy” economics and the rapid privatisation of Russia’s state-owned economy, Nemtsov had been a co-founder of the Union of Rightwing Forces political party, which won 8% of the vote for the Russian Duma in that year’s elections. But the party lost ground and was unable to get into the Duma in 2003. While favouring a more open political system with fewer restrictions on independent parties, it called for radical reductions in subsidies on rents, utility bills and medical services – reforms that Putin later introduced. The party never favoured the social democratic approach of Grigory Yavlinsky, the leader of the Yabloko party, with whom Nemtsov was often bracketed in foreign media as charismatic “young democrats”. В центре Москвы задержан депутат Верховной рады Алексей Гончаренко. Он пришел на марш памяти Бориса Немцова. Не исключено, что украинский политик станет фигурантом уголовного дела. Депутат Верховной рады Алексей Гончаренко. Фото: PhotoXPress. В этом сюжете. Staunton, March 1 – No one can disagree with Yuliya Latynina that with the murder of Boris Nemtsov, Russia has entered a new era, one in which the political opponents of the regime are killed or intimidated by that possibility and one about which it is critically important that all recognize that reality (echo.msk.ru/programs/code/1501598-echo/). Not surprisingly, in the wake of this horrific political execution, commentators are employing analogies as a means to try to understand what has taken place and to be in a position to predict what may happen next. At present, they have offered three pairs of analogies about the nature and implications of Nemtsov’s murder (news.liga.net/news/incident/5198508-podzhog_reykhstaga_pervye_mneniya_o_posledstviyakh_ubiystva_nemtsova.htm). A similar difference is to be found in the second set of analogies, between one with a dictator ready to use “big blood” to impose his will and one who believes that he can achieve as much and with less collateral damage to his own goals by carefully targeting his opponents and then using the media to intimidate far more (echo.msk.ru/blog/ilya_ponomarev/1502660-echo/). And that consideration helps to explain the appearance of another pair of analogies, that between those who view Putin’s regime as a tightly-integrated and controlled one and those, like Kseniya Sobchak, who argue that he has created a monster which he has at least partially lost control over (kontrakty.ua/article/85047). В 2005 году за угон «Мерседеса» у дочери высокого чиновника Григория осудили. После отсидки он устроился на работу и собирался повторно жениться. Но его нашел Валера Осетин и предложил за 18 тыс. долларов угнать «Лексус» по заказу «боевика из Дагестана». Григорийотказался и вышвырнул Осетина из подъезда. Тогда Осетин решил ему отомстить и подключил к делу своих знакомых из числа чеченских полицейских. Им он сообщил, что Григорий угоняет по десять иномарок в месяц и никому не «отстегивает». Тогда адвокаты подозреваемых нашли свидетелей, которые утверждали, что в день похищенияГригория часть арестованных гуляла на свадьбе в Чечне, а другая хоронила знакомого в Нальчике. Причем следователям предъявили даже фотографии. Но и это «алиби» оказалось вымышленным: в Чечню и КБР под усиленной охраной спецназа направили группу следователей и сотрудников ФСБ. При допросе «свидетели» постоянно путались в показаниях, а фото, как оказалось, были сделаны годом ранее. оперуполномоченный уголовного розыска ОВД по Урус-Мартановскому району ЧР (АПС СК 653К икомандировочное удостоверение на охрану президента ЧР и членов его семьи). For many in both Russia and the West, the Kremlin is inevitably the prime suspect in the February 27 assassination of opposition leader Boris Nemtsov. But the possibility of a Chechen connection should not be dismissed out of hand, given Nemtsov's repeated criticism of Chechen Republic head Ramzan Kadyrov, and the fact that since 2011, security personnel loyal to Kadyrov have reportedly engaged with total impunity in abductions and killings in Moscow. Alternatively, Kadyrov's men may have killed Nemtsov at Russian President Vladimir Putin's behest. The independent Novaya Gazeta investigated those reports, and met with Federal Security Service (FSB) staffers who in 2013 threatened to resign to protest prosecutors' refusal to bring charges against a group of Moscow-based Chechen Interior Ministry personnel arrested on suspicion of such killings. Instead, the men were released. The website Caucasus Knot recalls that four years ago Kadyrov publicly called for Nemtsov to be imprisoned in light of his role in the mass protests in Moscow in December 2010. Nemtsovresponded by branding Kadyrov "a psychologically very sick man" in need of urgent medical care. Nemtsov expressed regret that such men control the entire Caucasus, adding that he hoped that "eventually he will be dismissed and have to answer for everything." In May 2014, Nemtsov addressed a formal request to FSB Director Aleksandr Bortnikov to investigate reports that Chechen security personnel were being infiltrated into eastern Ukraine to fight on the side of the pro-Russian separatists. More recently, Nemtsov questioned the rationale for the grandiose rally of security personnel Kadyrov convened in Grozny in late December, at which Kadyrov affirmed that he had at his disposal10,000 volunteers loyal to Putin who are ready "to carry out any command" in order to defend stability in Russia. Nemtsov estimated the Kremlin's annual subsidies to Chechnya at 60 billion rubles ($974.77 million) and predicted that in light of Russia's economic problems, "the unspoken contract between Kadyrov and Putin -- money in exchange for loyalty -- is coming to an end." Nemtsov was born in Sochi, on the fringe of the Caucasus, and his engagement in Chechnya dates back to at least 1997, when as fuel and energy minister he and then-Prime Minister Sergei Kiriyenko jointly persuaded the Chechen leadership headed by President Aslan Maskhadov to repair the Baku-Tikhoretsk-Novorossiisk oil pipeline, according to Argumenty I Fakty, No. 37, September 2001. In December 2000, Nemtsov, then a State Duma deputy representing the Union of Rightist Forces, and fellow parliament members met in Moscow with Maskhadov's emissaries in the hope of launching formal talks to end the war that had erupted one year earlier. As a basis for such talks, Nemtsov had drafted a five-point peace plan under which Chechnya would have broad autonomy within the Russian Federation, but would "never" become independent. Instead, it would become a parliamentary republic with a civilian non-Chechen governor-general, who would be in charge of all "administrative, financial, political and military power in the republic." The stipulation that the governor-general should not be a Chechen meant that had Nemtsov's plan been endorsed and implemented, Kadyrov's father Akhmed-hadji, then Putin's appointed satrap in Chechnya, would have been sidelined. That governor-general would seek to reach agreement by January 2003 with all influential Chechen leaders, including Maskhadov. In the event that deadline was not met, Nemtsov advocated splitting Chechnya, with the northern lowlands being incorporated into Stavropol Krai and separated by border fortifications from the southern mountains where the resistance had taken refuge. The plan also provided for state assistance to Chechens forced to flee during the fighting. In September 2001, Nemtsov reportedly incurred Putin's ire by travelling to Chechnya to deliver computers to two schools in the Achkhoi-Martan district southwest of Grozny. Putin reportedly responded by issuing an ultimatum to Nemtsov: either conclude a peace deal with the Chechens within one month or resign from the State Duma. Ramzan Kadyrov, for his part, was quoted as affirming in an Instagram post that there could be "no doubt" that Western intelligence services intent on destabilizing the situation in Russia were behind Nemtsov's death. Kadyrov also commented that Nemtsov was not impressed by his efforts to rebuild Chechnya. Russia officials and media have pointed to a number of potential culprits in the February 27 murder of opposition leader Boris Nemtsov. Spoiler alert: None of them involves the Kremlin. Качество представленной съемки невысокое, однако машины и силуэты людей на ней рассмотреть можно. Опубликованный фрагмент начинается с 23:16 мск. Два человека, предположительно Немцов и его спутница, идут по Большому Московорецкому мосту от Васильевского спуска в направлении Большой Ордынки. Их медленно нагоняет снегоуборочная машина. В 23:31 кузов грузовика скрыл Немцова и его спутницу от камеры. Спустя секунду оттуда на проезжую часть выбегает человек, быстро садится в автомобиль и уезжает. Снегоуборщик остановился в нескольких метрах от места происшествия. Там остался лишь один силуэт — предположительно, это спутница Немцова. Дальше по мосту продолжают идти пешеходы. Некоторые останавливаются. Другие идут мимо. В 23:42 на место прибыла полиция. Главный редактор журнала The New Times Евгения Альбац рассказала о своем последнем разговоре с ним. По её словам, Немцов был убит за то, что был самым ярким представителем российской оппозиции. Евгения Альбац также отметила, что политик последнее время был чрезвычайно резок в отношении Владимира Путина. Она также добавила, что обложка журнала будет изменена в связи с убийством Бориса Немцова. » Вадим Штольц. Почему российские власти потворствуют подрывной деятельности против России генерала ГУР МО Украины В. Филина и генерала ГРУ ГШ ВС Республики Узбекистан Р. Саидова? » Новый Хасавюрт или независимая и дружественная Чечня? 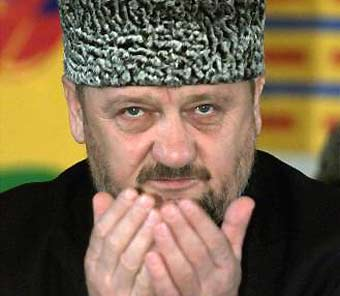 » Are Kadyrov’s Days as Head of Chechnya Numbered? » Were Chechen Security Personnel Responsible For Nemtsov's Death?